Fires in two oil facilities in East Harris County the weekend of St. Patrick’s Day took the shine off the green. Saturday there was a fire at the Baytown Exxon Olefines Plant and St. Patrick’s Day was the time of the origin of the fire at Intercontinental Terminals Company in Deer Park. Baytown and Exxon firefighters and mutual aide rushed to 5000 Bayway Drive at about 1:00 p.m. on Saturday. All said and done, there was no shelter in place or evacuation called for there, and the fire was successfully contained without injury. Sunday morning as many went to church a fire started near a chemical storage tank in Intercontinental Terminals Co.’s grounds in Deer Park. Firefighters struggled to contain the blaze to five tanks but when low water pressure occurred in the early hours of Monday, three other tanks caught fire. This cancelled authorities’ predictions of a rapid containment for the blaze. The terminal is closed and evacuated, it stores gasoline additives and paint thinners. Some say these chemicals can cause difficulty breathing, coughing, headache and irritation to respiratory systems. Galena Park, TX. 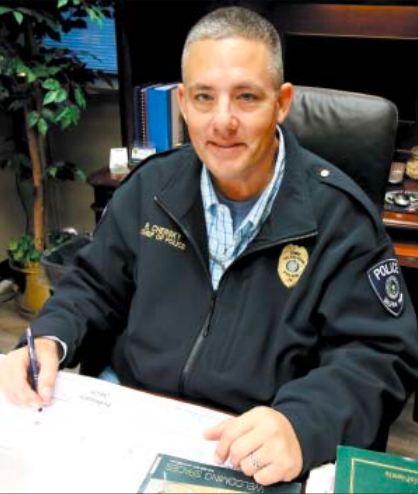 March 20, 2019 – In January, Galena Park City Commissioner Rodney Chersky stepped down to become the city’s new police chief. After being re-elected in May 2018 with 61 percent of the vote, Chersky moved out of the city. “Mayor Moya in January approached me and asked me if I would be interested in the chief’s job. After giving it lots of thought and being assured by the mayor she’d do everything possible to work with me to help make the needed improvements I wanted to make, I decided to accept the appointment,” said Chief Chersky. Congresswoman Sylvia Garcia receiving award at NALEO’s annual Gala. 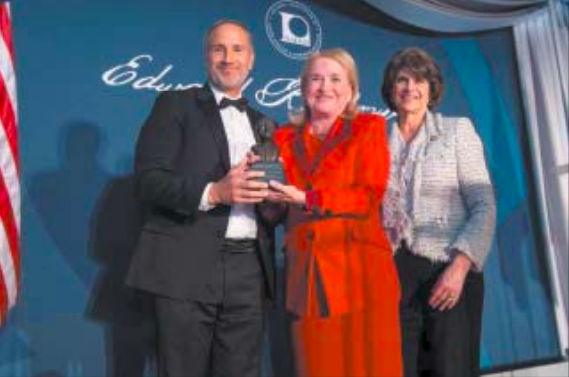 WASHINGTON, D.C. – Yesterday, over a hundred national leaders and lawmakers joined together with the National Association of Latino Elected and Appointed Officials (NALEO), the nation’s leading Latino leadership foundation, in honoring Congresswoman Sylvia Garcia the Edward R. Roybal Award for Outstanding Public Service. “NALEO – thank you for this honor, to be a part of Edward Roybal’s legacy,” Congresswoman Garcia said during her remarks. “It is truly amazing to see the progress that has been made over our lifetimes, the legacy that will help future generations push progress forward.” At the ceremony, national leaders spoke of Congresswoman Garcia’s hard work and years of public service. AUSTIN — A few of the funding priorities expressed by the executive, legislative and judicial branches are not covered in Senate Bill 2, the state’s tentatively approved appropriations bill for fiscal years 2020 and 2021. Dan Huberty excitedly explaining legislation related to school finance reform in Austin. 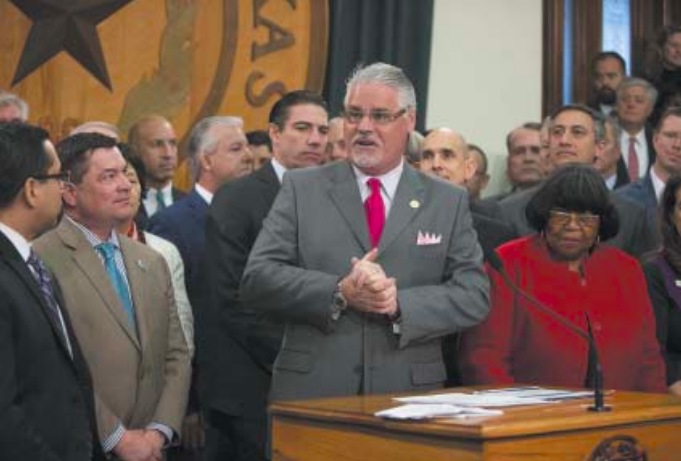 AUSTIN: State Rep. Dan Huberty, R., District 127, has ridden shotgun on a $9 billion school finance reform bill that is to send more state money to public schools and lower school property tax rates, according to lawmakers. To enact the plan, passage is required by both the House and the Senate. “The Texas Plan” or House Bill 3, has had Huberty hopping around explaining to Republicans and Democrats that a $9 billion increase in the base funding for each student and compressing school districts’ property tax rates by 4 cents statewide, among other policy items is not only possible but necessary. Pre-K for full days for eligible students also benefits, and sending more money to school districts with higher concentrations of disadvantaged students. In his State of the State Address, Governor Abbott named three “emergency items,” they are teacher pay, school finance reform and property taxes reform.